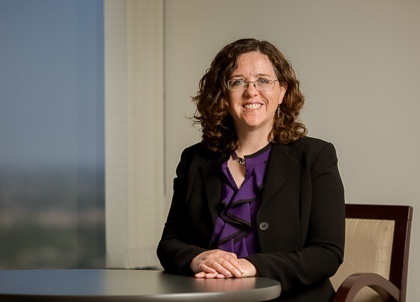 Prior to joining PIB Law, Heather was a Partner at Kralik & Jacobs LLP, where she handled commercial litigation cases with an emphasis on lender liability defense and business disputes. Previously, Heather was an Associate at Cox, Castle & Nicholson LLP. Obtained summary judgment in favor of client on all of the plaintiff’s lender liability claims, and then subsequently obtained a $6.2 million judgment in favor of her client on its cross-complaint, together with a decree of judicial foreclosure. Obtained summary judgment in favor of creditor client in a complex adversary case involving novel issues of law concerning the application of FIRREA’s jurisdictional bar to a borrower’s TILA claims arising out of the conduct of a failed bank. Obtained an affirmance of the judgment, in full, from the district court on appeal. Representation of a foreclosure trustee and lender on appeal from a judgment of dismissal entered in the clients’ favor on claims arising from the improper posting of foreclosure notices and alleged problems with the legal description on a deed of trust. Obtained a decision affirming the underlying judgment in its entirety. Representation of a secured creditor in an appeal from a bankruptcy court order denying an objection to a proof of claim. Obtained an order dismissing the debtor’s appeal as moot. Representation of secured creditor in a contested proceeding concerning creditor’s motion for relief from the automatic stay to foreclose, and ultimately obtained a memorandum decision in creditor’s favor based on testimony and documentary evidence, determining that the burden of proof had been met for obtaining relief from stay in order to foreclose. Trial counsel in breach of lease dispute, obtaining award for $559,000 in client’s favor. Trial counsel in reformation case, obtaining judgment reforming an erroneous deed of trust so as to allow foreclosure to occur on the correct property. Trial counsel for defendant lender, in two-week lender liability trial before judicial referee, involving alleged liability for failure to timely disburse funds under a construction loan. Los Angeles Lawyer, Member, Editorial Board, 2006 – 2015; Coordinating Chair, Real Estate Law Issue, 2010 – 2014. Co-Chair, LACBA-WLALA Joint Task Force on the Promotion and Retention of Women in the Legal Professions, 2015-2017. Executive Committee, 2013 – Present. Board of Governors, 2009 – Present. CEB Governing Board, Member, 2015 – Present. Outstanding Service Award, CEB (2013). Recognized as a Top Attorney by Pasadena Magazine (2012, 2013, 2014). Southern California Super Lawyers Rising Star (2007, 2008, 2009, 2010, 2011 & 2012). Outstanding Young Lawyer, LACBA Real Property Section (2010). Received Am Jur Bancroft-Whitney Award in Real Property (1998). Speaker, “Real Estate Boilerplate Contract Fundamentals,” Lorman Educational Seminar (December 2016). Panelist, “Be Careful What You Wish For: Is Binding Arbitration Really Better Than Litigation?,” LACBA Trial Practice Inn of Court (December 2010). Moderator, “Exploring the Uncharted Waters of Valuation in Today’s Commercial Real Estate Market,” Benjamin Crocker Symposium, panel discussion (March 2010). Speaker, “The Lawsuit Is About Boilerplate - Important Considerations of Typical Contract Provisions,” Business Law Section, Beverly Hills Bar Association (March 2009 & November 2009). “How to Use an iPad to Manage and Present Trial Exhibits,” Los Angeles Lawyer (November 2013). Update Author, “Lender and Broker Liability” (CEB, Chapter 12, California Mortgages, Deeds of Trust, and Foreclosure Litigation (2013 & 2014). “Rights in Foreclosure: The National Mortgage Settlement and Homeowners’ Bill of Rights provide significant enforcement mechanisms to deter careless foreclosure practices,” Los Angeles Lawyer (January 2013). “California Property Owners Beware: A New Law Imposes Stricter Penalties For The Failure to Report Entity Reorganizations That Trigger A ‘Change In Ownership’ For Property Tax Purposes,” The Corporate Counselor (LACBA Corporate Law Departments Section, Winter 2010). Consulting Editor, “California Ground Lease Practice” (CEB, Chapter 14, Condemnation) (2009). “What’s the Rent?” Commercial Property News (February 2008). “Well Grounded: A successful provision for adjusting the rent in ground leases will include a clear appraisal method and an alternative dispute resolution procedure,” Los Angeles Lawyer (April 2007).